During the construction of the building, be sure to remember about the thermal insulation. 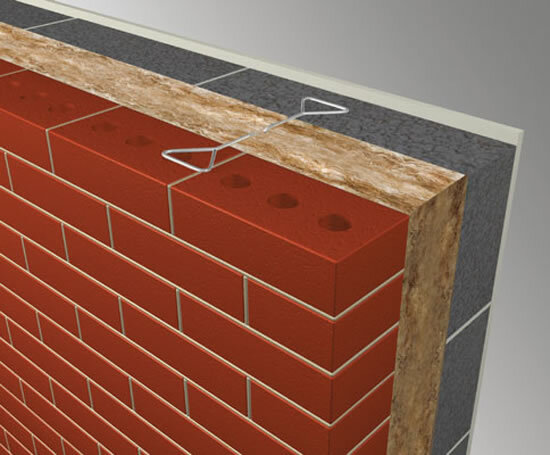 Areas where building regulations on insulation are violated, is called cold bridges. Usually they are from the higher temperatures (indoors) appear wet, or the point of "dew" that brings the formation of mildew and mold. Improper insulation of their homes will bring about depletion of the family budget. Determine the construction of the outer walls. It depends on the following factors: climatic, economic, structural features of the object and others. Determine the surface finishing of external walls (internal and external). Diagram of interior and exterior decoration depends on the solution of the exterior and interior of the structure. This automatically adds several layers to the thickness of the wall of the house. Calculate the heat-transfer resistance of the selected wall (Rпр.) This value can be found by the formula, it is necessary to know the material from which made the wall and its thickness: Rпр.=(1/α (V))+R1+R2+R3+(1/α (n)), where R1, R2, R3 – resistance of heat transfer of each layer of the wall, α – the heat transfer coefficient of the inner surface of the wall, α(n) is the heat transfer coefficient of the outer surface of the wall. Calculate the minimum allowable values of thermal resistance of (Rmin) for the climate zone where the building is carried out according to the formula R=δ/λ, δ – thickness of the layer of material in meters, λ is the thermal conductivity of material (W/m*K). The thermal conductivity can be seen on the packaging material, or define a special table thermal conductivity material, for example, for polystyrene PSB-s 15, density 15 kg/m3 , it is equal to 0,043 W/m mineral wool with a density of 200 kg/m3, and 0.08 W/m. Thermal conductivity – the ability of a material to exchange heat with the environment. The higher the conductivity, the material is colder. The higher the thermal conductivity of concrete, metal, marble, low - air. Thus, materials which are based on air, for example, polystyrene are extremely warm. 40mm foam = 1m of brickwork. The coefficient has a constant value for each climate zone, it can be found in the directory DBN V. 2.6-31:2006 (Thermal insulation of buildings). Compare Rmin with Rпр. find the difference Δ R. If the result of the calculation of Rmin< or = Rпр., the wall insulation is not necessary because existing regulatory layers provide insulation. When Rmin>Rпр., then determine the difference, subtract the larger value from a smaller ΔR= Rmin- Rпр. Find the thickness of insulation according to ΔR. The insulation should provide the missing heat-transfer resistance. Choosing the insulation material, be aware of the following its characteristics, such as coefficient of thermal conductivity, coefficient of water absorption, density, Flammability class. The coefficient of water absorption - the ability of a material to keep the absorbed water. The smaller its value is of greater interest in this material as insulation. Used in the construction of materials with a high coefficient of water absorption, for example, glass wool or mineral wool. Additionally, in this case, a vapor - and waterproofing. To do this, so as not to allow material to get wet. If this happens, the conductivity strongly increases, for example, mineral wool twice. Also important is the Flammability and density of insulation. The latter characterizes the load on the supporting structures. Building materials are divided into non-combustible and combustible, which are divided into 4 groups: low-flammable (G1); ameranouche (G2); normalnaya (G3); zelenogorye (G4). The denser the material, the less flammable the cost is higher. After choosing the material, calculate by the formula the thickness of the insulation: ΔR= δ/λ, where δ= λ/ΔR, δ is the required thickness of the selected insulation, expressed in metres.